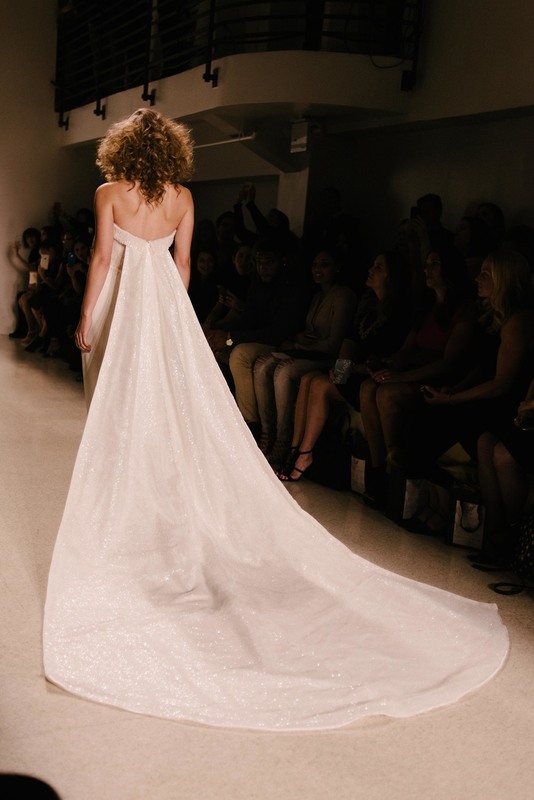 Matthew Christopher's Enduring Love collection, presented last week at Bridal Fashion Week in New York, is all about timelessness and classic romance. Opening with a beautiful montage about Matthew Christopher being inspired as a young boy by his grandmother's wedding dress, the runway show was a gorgeous lineup of gowns, each each the perfect blend of classic and modern. With Matthew's trademark structured bodices, flattering seams, and unique laces and embroideries, these gowns may be timeless, but they are anything but boring. That's just why the Enduring Love collection displays exactly why our love of Matthew Christopher endures since we first brought his gowns to Little White Dress several years ago. This collection will be available at Little White Dress in early 2016!